"[...]the spa is beautiful inside, you feel so relaxed with the decor, it is just lovely." "Got my lip fillers here, Joanne did such a wonderful job they look so natural!" "Joanne is wonderful, VERY pleased with my botox results. " "A very classy place and the owner Joanne is awesome. I highly recommend this place." "Joanne was very thorough and made my experience pleasant." Featuring Innovative, State of the Art Nonsurgical Anti-Aging and Skin Treatments. Ultherapy®is the only FDA-cleared, non-invasive procedure that lifts and tightens the neck, chin, and brow, and improves lines and wrinkles on the chest. Pellevé precisely heats the deep layers of your skin using advanced radiofrequency energy without damaging the epidermis, or top layer. As you get older, your body’s production of collagen and elastin slows. These fibers are responsible for keeping your skin looking youthful. Begin with Skin MedSpa was born out of my desire to help men and women be their “best selves”. Creating a medspa that provides clients with the safest and clinically proven technologies is what Begin with Skin focuses on. I pride myself in listening to the needs and desires of my clients while educating them on the science of aging. Looking restored and refreshed in a way that does not look overdone or obvious is important. Each person is different and so should their facial rejuvenation treatments. Setting a New Year's resolution is a tradition here in the U.S. A “New Year resolution” is a change of an undesired trait or behavior, to accomplish a personal goal or overall improvement of one's life. What do you love about your profession? What I love most about my profession is giving people their confidence back with some simple yet effective non-invasive aesthetic procedures. Melasma and Hyperpigmentation - What is a Girl to do? 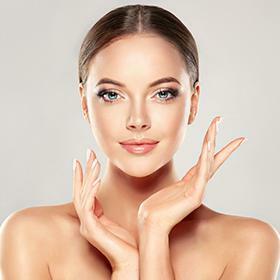 Begin with Skin Med Spa is an upscale Medical Aesthetic Practice with a complete line of services offered in a boutique spa environment located in the heart of Chelmsford, MA. Our team of clinical aestheticians and Joanne Sargent, RN focus on creating customized treatment programs for all our clients. Our goal is to help each client look and feel their personal best. We use professional, state of the art equipment and services and provide a relaxing, nurturing environment for all your skincare needs. "Fantastic service and very professional. I recommend Begin With Skin Med Spa." "Joanne is amazing. She does just the right amount and doesn't try to upsell anything!" "Thank you SOOOOOOOO much! You are the best, can I call you my Fairy Glam Mother? Love my lips! "You are amazing Thank you for all you do for me." "Went out to dinner with my husband recently he looked at me and said I never looked better. You Rock! Thank you for making me look natural." "Where do I begin, you have done so much for my self confidence, your attention to detail while listening to my concerns is so refreshing." "I have been a customer of Begin with Skin for 4 years now. Where do I begin with all that you have done. I never felt my age but my neck told a different story." "I came to you for SculpSure to remove excess fat to my abdomen and “love Handles” that no amount of Gym and fitness training was going to take away..."
"Fraxel has been so effective in minimizing my scars it is my new best friend." "You have been amazing thank you for changing my life and how I feel about myself."